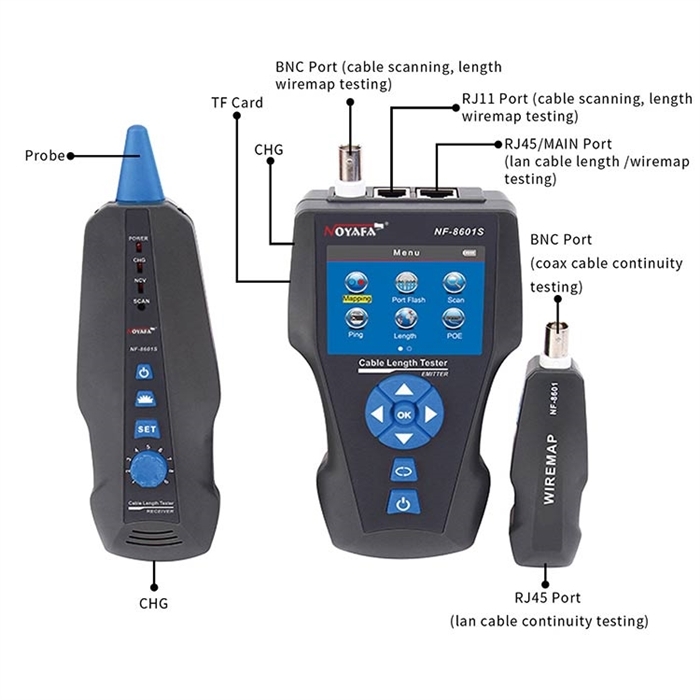 Noyafa's New RMT-8601S Takes over where our RMT-8601 left off! More Cable Types: RMT-8601S works on CAT5e, CAT6, CAT6a, CAT7, Telephone, Coaxial Cable, and More! You can even set up your own wire and cable type using the CUSTOM option. 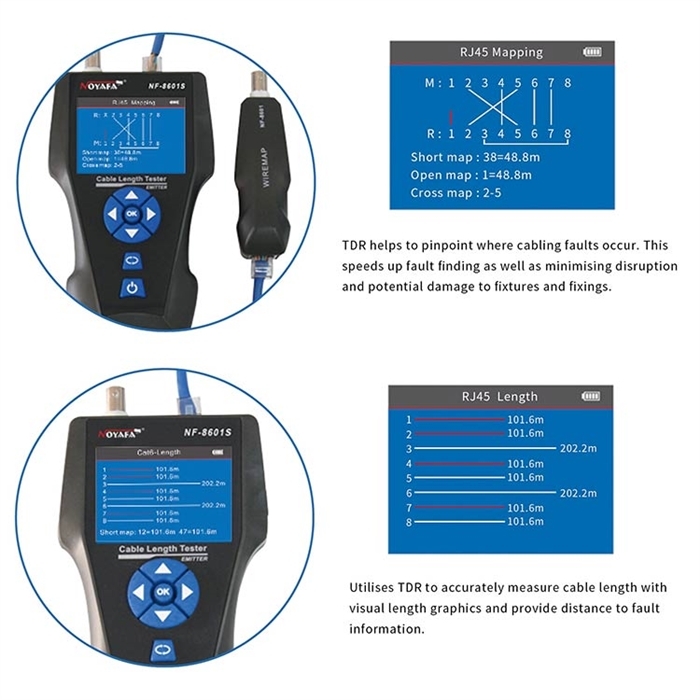 Distance to Fault: Unlike other cable length meters, the RMT-8601S gives the length of each individual conductor within your network cable (See Pictures). This makes it extremely easy to find where your wire has been damaged. 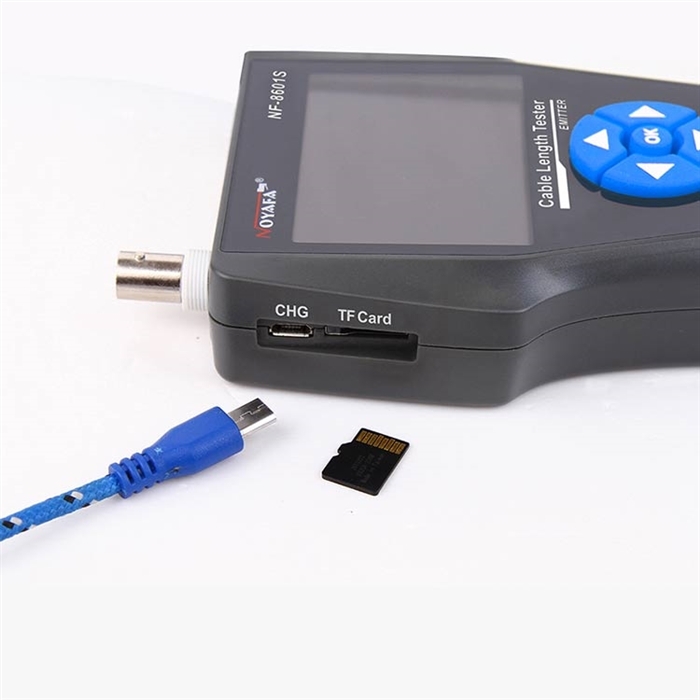 Port Flashing: At Tech Tool Supply, this is the most requested feature we get on our network testers. Unfortunately, this feature is typically only found on more expensive units. Additionally, many other models that do have this feature, the flashing light sequence is tough to differentiate from the switches traffic flashing. We love the flashing pattern that the RMT-8601S uses. It is very easy to find on a heavily populated switch. 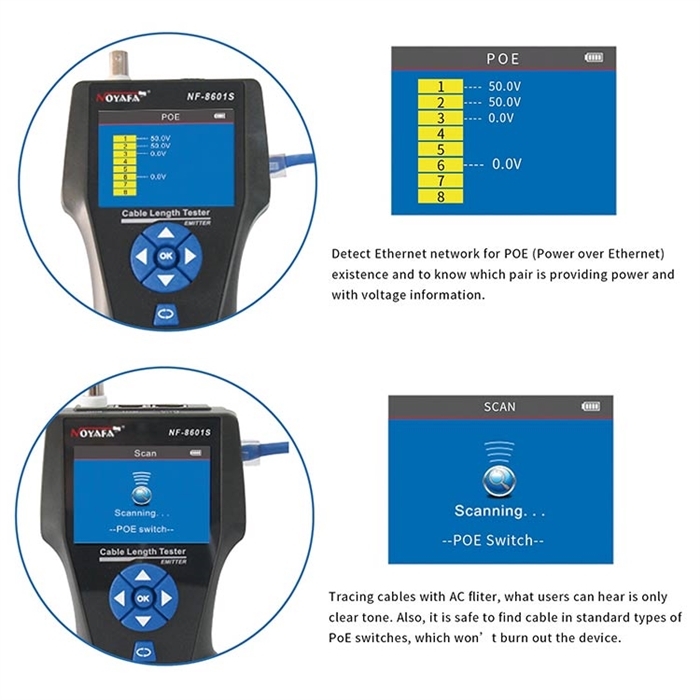 PoE Presence: This tool will let you know which pins have voltage on them, and measure what the voltage is. Ping Function: This is convenient when you don't want to haul your laptop around with you. 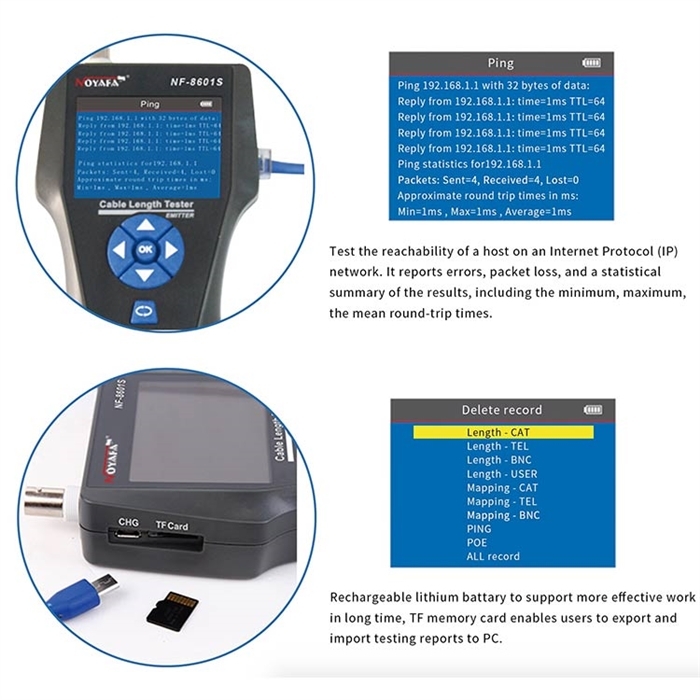 Simply plug in your address and let the RMT-8601S ping for you. 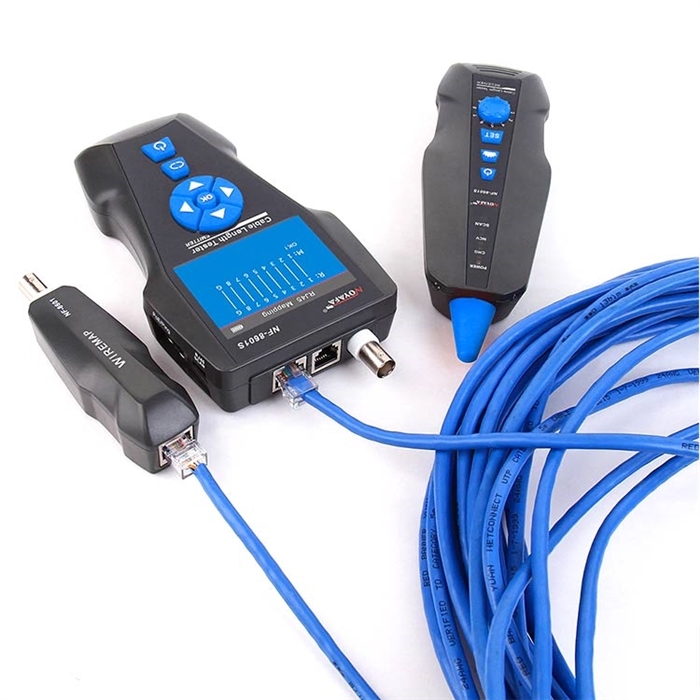 Toner Tracker: The RMT-8601S includes a receiver that allows for toning and tracing out network cables. 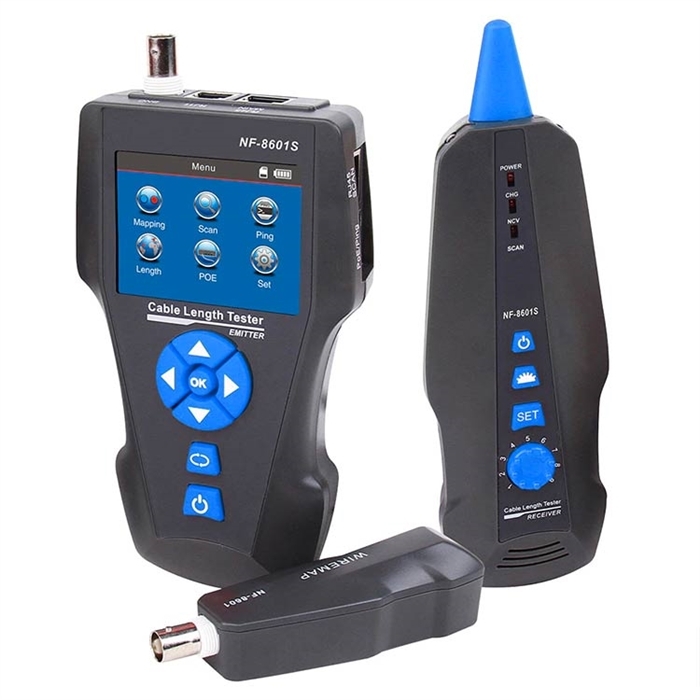 Continuity Test: The RMT-8601S includes a remote that allows for continuity testing of Coaxial Cable and Network Cables. 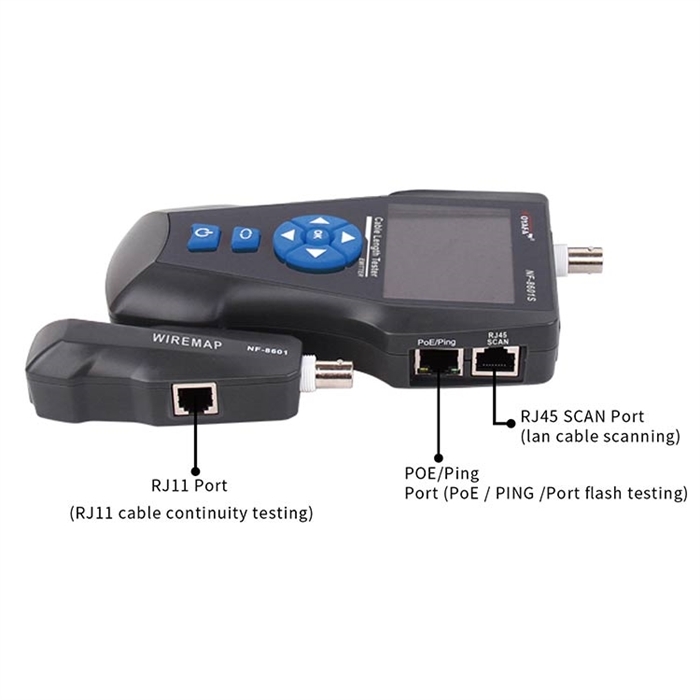 This will quickly tell you if your network jack is wired correctly or if there are crossed wires.